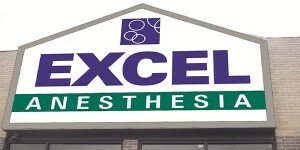 Excel Anesthesia LLC is an anesthesia practice located in Kansas City, Kansas. Locally owned, we proudly serve regions in Kansas and Missouri. For over sixteen years, Excel has added value to the facilities in which they work, across a wide spectrum of specialties including general surgery, gastroenterology, ophthalmology, orthopedics, ENT, podiatry, pediatrics, and plastics. Additionally, we are participating providers with most major insurance companies, manage all of our own billing and offer MD anesthesia upon request. Beyond these important benefits, Excel consistently delivers solid, reliable, knowledgeable service, providing patients the care they need and providing surgeons peace of mind, allowing them to concentrate on the things that are most important.